I know a lot of board member’s who prefer the DST Invader’s box set Captain America the best. However, since I am a sucker for slip on masks, I have always preferred the DST Heroes box set Captain America. Some board members were frustrated with this slip on mask, because it was difficult to slip the mask on Captain Americas head. Other board members were likewise frustrated with the TRU wave 6 Captain America slip on mask, because the eyeholes came too far down on the mates head. Thus preventing collector’s from seeing his eyes properly through the eye holes. What I did to rectify this matter was replace the head of a DST Heroes box set Captain America with a TRU wave 6 Captain America. Then I used the slip on mask from a DST Heroes box set Captain America. The slip on mask can now easily be put on and removed, as well as, cover the entire mate’s head, not to mention one can now see his eyes through the eye holes. I did something similar to this as well, only I don't use the add on belt so I can get a more Kirby feel. The head I use is the Cap that came with Nick Fury. Other than that, I leave it be. 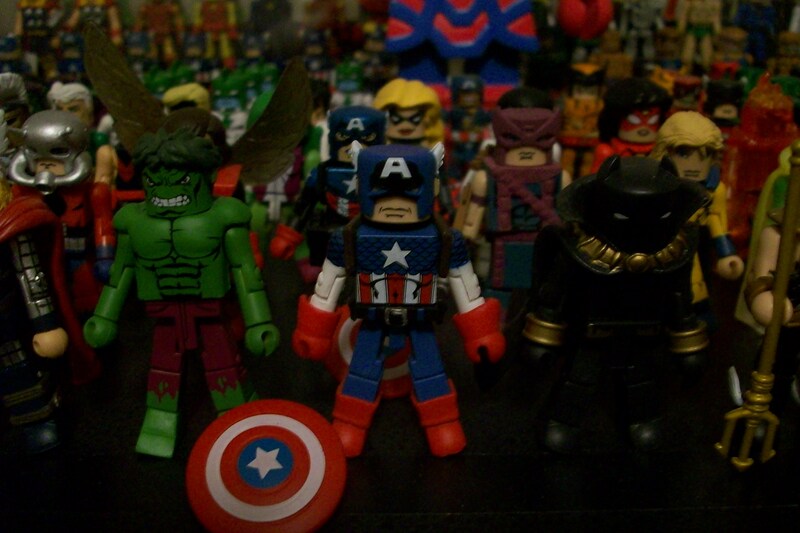 Like this, my favorite is the Cap from the Heroes boxed set. I really like the color blue that the Invaders one has, but I don't dig the slip on mask so much. And elhonez, I was curious if you had a picture of your Power Man with yellow boots? I don't; have one yet -- I've been waiting to post one when I finish the rest of my H4H customs. If I have time on Friday maybe I can snap a quick pic of just Luke though. Meanwhile, I thought I'd post a picture of a few quick and dirty modifications I was working on. I used the mid section, legs, weaponry, and boots from a wave 25 Captain America and a wave 27 Nick Fury body and left arm, with a wave 7 Silver Surfer right arm, and TRU wave 6 stretch attack Mr. Fantastic right black hand, along with a DST Invaders box set Bucky head and a wave 30 Ultimate Spider-woman hairpiece. 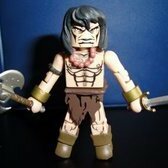 If you have an extra TRU wave 6 stretch attack Mr. 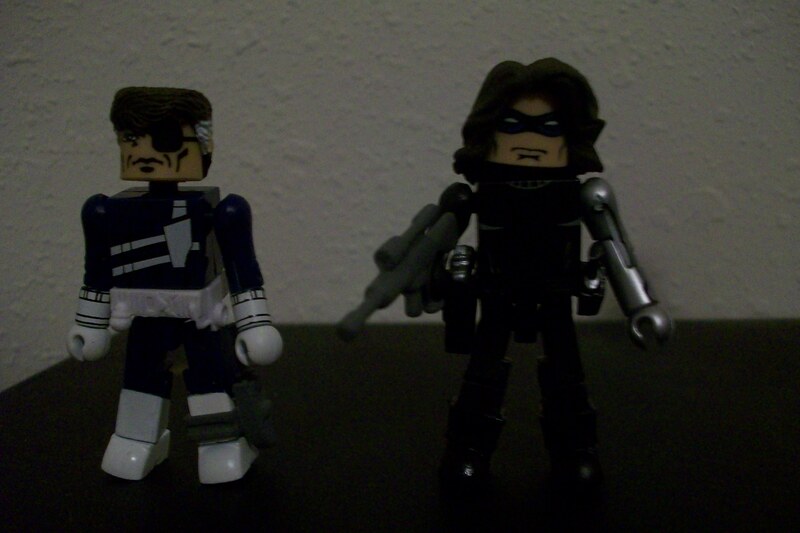 Fantastic the hairpiece is a definite upgrade for a wave 12 Nick Fury over his original hairpiece. 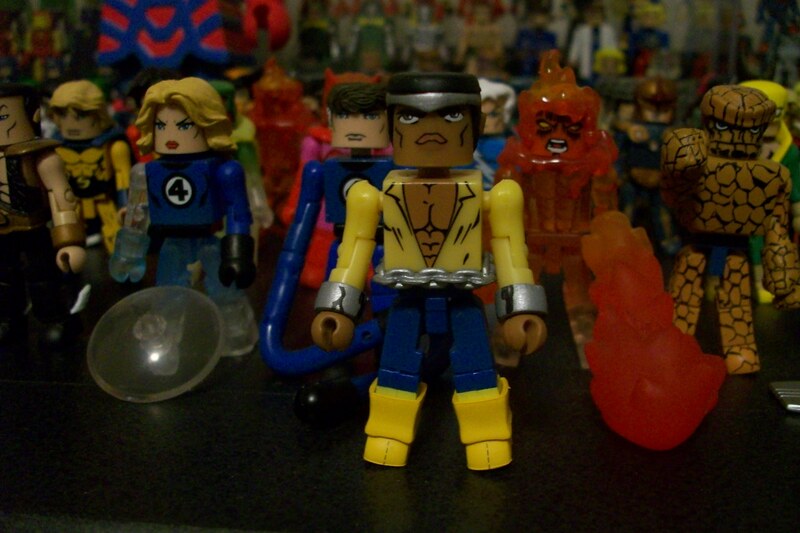 (On a side note I feel the wave 12 Nick Fury is in need of a definite re-do). I've always hated that the classic Vision was phasing, so we never had a good solid version of the character. With the Hydra soliders arms and legs and a yellow crotch (still can't remember who it's from), it looks fantastic! All the pale yellow's match up and it's really great. It's killing me that I can't remember which crotch piece it was, though. I've gone through my collection trying to remember who's crotch piece this is. It's not Electro, Loki, Marvel Girl, or an AIM agent. The color is much more subdued. Anyway, it exists and I'll keep wracking my brain until I can remember it. Hey, good work man! I like that Vision. Is it from one of the classic X Men? Radioactive Man and Goliath are the only others I can think of, but they seem too bright. are you sure... it isn't just the piece that came with Vision in the first place? Checked on the Database - bobafett's got a point. It IS the piece that came with Vision originally! I'm such a goof! Sorry for not being able to see it at work, but that's the only hosting place I have access to put images up at. I'm incredibly pleased with the Vision, now. Is that Vision in your microwave? My phone camera gives everything a yellow-ish tint, so that was the clearest place I could find! 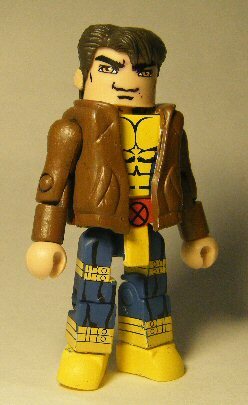 Cyclops is one of the few very popular characters that they have never made a version of that I really felt was truly great. I suppose the X-Factor version comes closest for me, but I would love an updated "astonishing" version some day in the future. 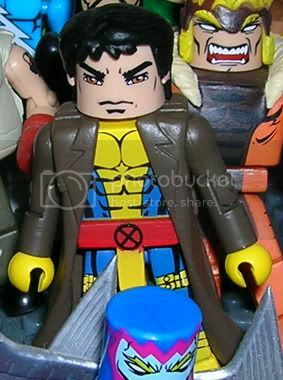 I just received The Heroes box set today and I want to turn the wolverine into Animated Morph. Has anyone else done this? What are the best head, hair and jacket pieces? I like that look! The boots are especially a good call.